Learn about hidden unlockables, easter eggs, and special techniques. Tied to your save game file, numerous unlockables reside within the Extras menu. All of them require a certain number of credits to unlock, each of which can be obtained while playing through the game's three difficulty settings and accomplishing a variety of tasks. Read more information about credits at the Credits Guide. See below for charts detailing all of the unlockable items and their requirements. Also note that as you fill up your Logbook, new items will become available to unlock. *Soundtrack pieces will become available for purchase as players gradually work through the game. Simply beat the game on Normal or Veteran mode to unlock the ultra challenging Hypermode difficulty. This time around Samus will have access to the Spring Ball ability throughout the game (flick the remote vertically while in Morph Ball mode), but the good old double bomb jump trick will still come in handy throughout the worlds she visits. Perform the bomb jump exactly as you would have in the first two Prime titles: set a bomb and time laying your second bomb just before the first detonates. As Samus is propelled into the air, lay your third at the apex of the jump. 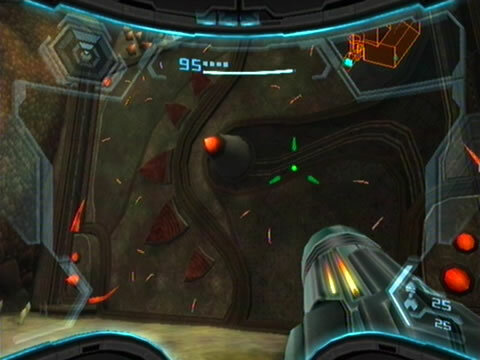 As you land you'll strike the second bomb while it detonates, pushing you further up to the third bomb just in time for it to send Samus even higher. That's how to do it the good old-fashioned style. But thanks to the Spring Ball you can also simply jump up, lay a single bomb, then jump up to it again as it detonates to propel Samus up to the same height as a double bomb jump would achieve. 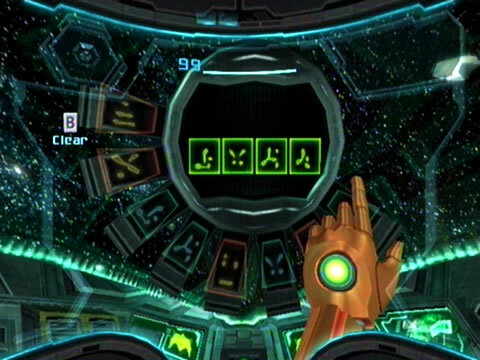 Have you ever wandered if the radio communicator in Samus' gunship has any other purpose than simply to enter the GF command code to dock with the GFS Olympus? After all, with all those symbols you've got 1680 potential combinations (most produce garbled static). Input the following symbol sequence: second, seventh, fifth, first. A president has to take things really seriously, even if it doesn't seem like it. It's understandable if you lose weight from stress... But I get fatter instead. Nobody thinks I'm taking it seriously. 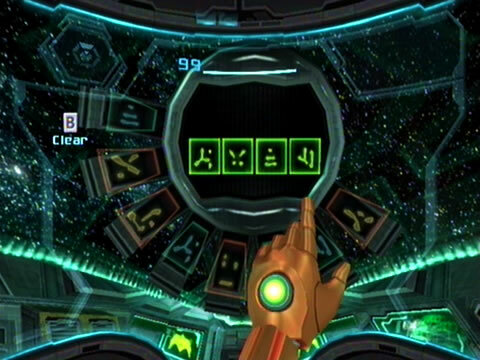 Input the following symbol sequence: eighth, third, fifth, fourth. I've also worked on many (Metroid) games, but this one is the best yet, don't you think? Make sure to play it all the way to the end. Input the following symbol sequence: fourth, sixth, first, seventh. Hello everyone. This is Sakamoto from Nintendo. 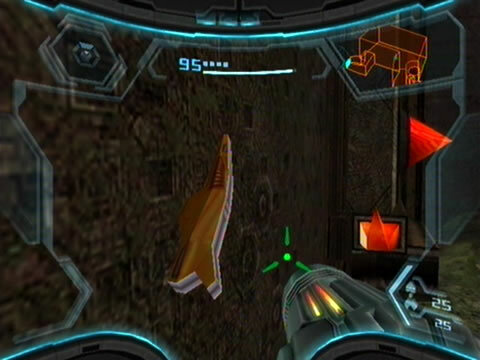 Did you enjoy Metroid Prime 3? 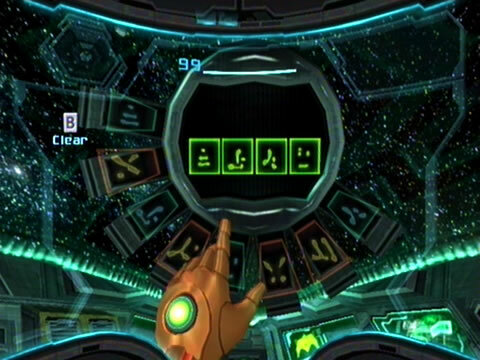 Samus's mission is not over with these missions but will continue to go on. Input the following symbol sequence: first, third, eighth, fifth. Hello everyone, this is the Prime series's producer Tanabe. 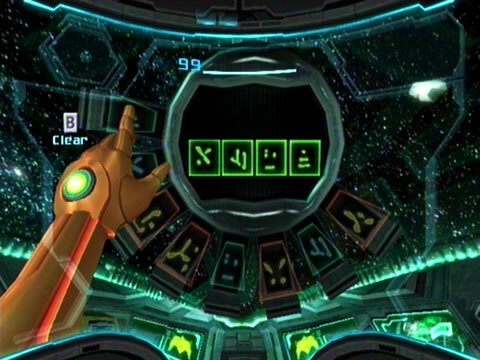 The Metroid Prime series is over but I am going to do my best for the next series! Input the following symbol sequence: third, sixth, fourth, eighth. 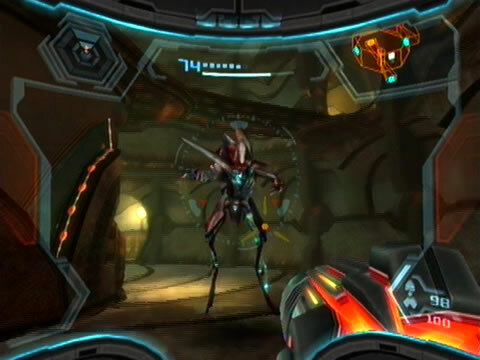 Hello to everyone who is playing Metroid Prime 3! This is Kenji Yamamoto. 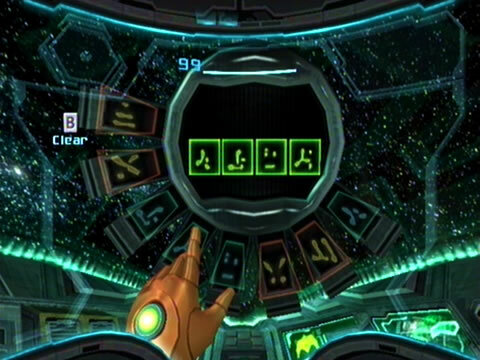 If you listen carefully to the music, you might notice that some parts of the soundtrack in Metroid Prime 3 are the same as those in older Metroids. That's what I expect and why I want to arrange the music. This strange sighting occurs upon your first trip to the Concourse area in SkyTown East. As you enter the main chamber you'll be greeted by an Armored Pirate Trooper and a Pirate Militia, but the third target to appear is the one in question. 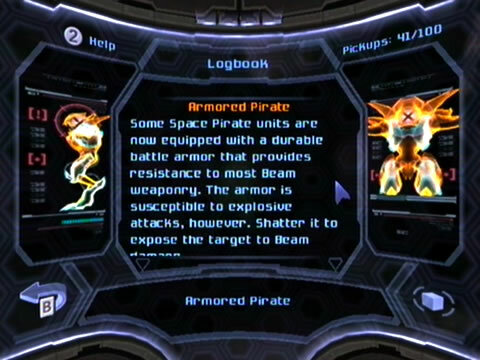 It looks very much like an Armored Pirate Militia, but scanning it will reveal it as an "Armored Pirate". The Logbook entry is unique, and yet if you view the character model it looks very much like an Armored Pirate Trooper. However, the entry will not appear in the Logbook listing of Space Pirate creatures. Scanning this oddity also amazingly gives you a red credit, allowing you to tally up 109 (NTSC) / 110 (PAL) total credits instead of the usual 108 / 109. I've observed this on every visit to the Concourse on each difficulty setting for the PAL version of the game, but can only guess if he turns up in the NTSC version too - can anyone with an NTSC copy of the game confirm this for me? 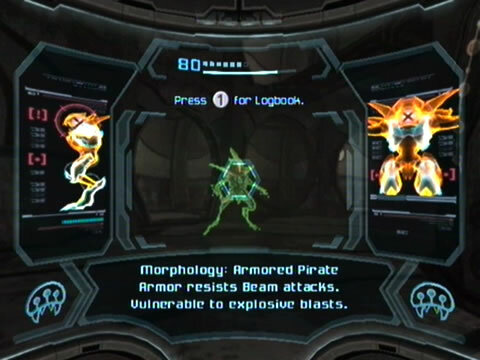 Metroid Prime Trilogy note: The Armored Pirate also appears in the Metroid Prime Trilogy version of the game sporting the look of an Armored Pirate Militia. However, scanning the target will register them as an Armored Pirate Trooper and you won't receive the bonus normally-extraneous red credit. This is currently confirmed to occur in the PAL version of the compilation. Subtle reference to Metroid Dread? "Experiment status report update. 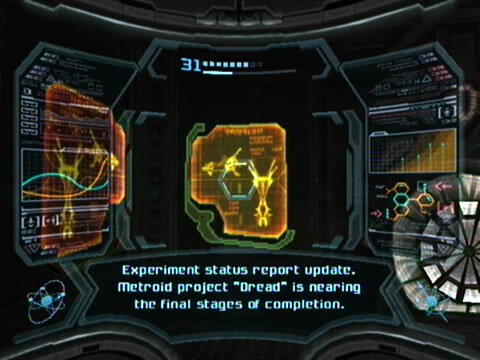 Metroid project "Dread" is nearing the final stages of completion." Retro have long since debunked the reference as coincidental and Nintendo have since claimed that "no 2D Metroid game for the DS is in development", so only time will tell if the game ever surfaces. 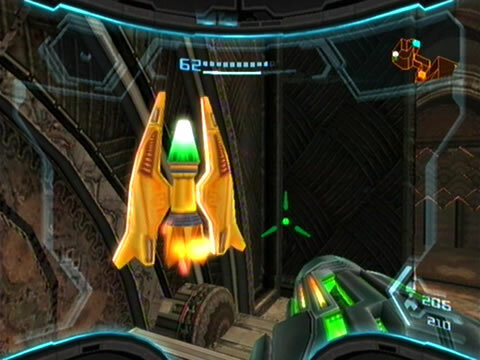 The Ancient Courtyard region (near the Thorn Jungle Airdock) at Bryyo normally can't be passed until you upgrade Samus' gunship with Ship Missiles to dismantle the massive gate blocking the path. The game seems to present a subtle hint of how to remove the gate which can be easily missed. Take a closer look at the gate itself - see those small shrapnel-like objects embedded throughout the gate? They look suspiciously like the fins/wings of a Ship Missile Expansion item... so this gate is riddled with the very thing you need to open it up.